A fodder import scheme announced yesterday must be followed by low-cost loans to take the pressure off struggling farmers, the Government was urged yesterday. 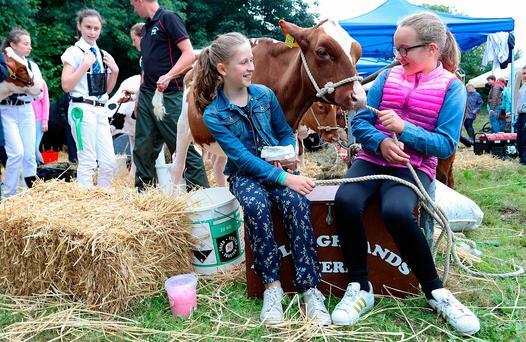 Agriculture Minister Michael Creed yesterday confirmed that a €4.25m fund would be made available to reduce the cost of imported forage to farmers badly hit by the heatwave and drought conditions of the summer. Farming organisations welcomed the scheme but said that the low-cost loans included in last October’s Budget but not yet introduced should also be implemented. The import scheme will operate through co-operatives and registered importers, will cover forage imported from August 12 to December 31 and will be subject to EU State Aid rules. “As was the case in the earlier fodder import measure of last spring, participation will be straightforward for the farmer who contacts a participating co-op or registered importer and purchases fodder,” said Mr Creed. “My department will subsequently reimburse the co-op or importer with a contribution towards the cost of transport. “I will continue to monitor the fodder situation closely and work with all stakeholders until we have successfully addressed the issues around fodder availability,” the minister added. Speaking at the IFA’s pre-Budget submission launch in Dublin yesterday, IFA president Joe Healy said that it was imperative that the low-cost loans scheme is introduced to help farmers weather the storm of current unprecedented and long-term challenges to the sector. “We saw a huge demand for low-cost loans last year,” he said. “Within three weeks of being out to the people, they were over-subscribed and that shows the demand that was there for them. We need an immediate roll-out of the scheme. ICMSA president Pat McCormack also insisted that the Department of Agriculture has to make urgent progress on the loans. “We have to see the immediate roll-out of the low-cost loans that were promised previously but which have still not materialised,” he said. “The pressures on cash flow are now becoming acute. Meanwhile, ICSA president Patrick Kent pointed out that efforts will have to be made to ensure imported fodder is of high quality. However, he added: “While we are in favour of importing fodder, we must ensure that it is of high quality and at a fair price. “Vigilance on quality and price towards imported feed must also extend to cereals. “Profit margins on suckler and sheep farms are practically non-existent at this point so if these enterprises are to have any hope of surviving it is imperative that access to quality feed at a reasonable price is secured.